Ha ha! Now WHO is the “detective?” Great work in finding out that Clickbank shut down that sucker. But as a glaring example of what I’m talking about guess which “product” (and I use the term very loosely) I chose? Like I said on the Warrior Forum… Haley may soon be performing “Hail Marys” at a nunnery – still earning MILLIONS but only out of habit (joke). Great post and great find – about time clickbank finally acted against products like this. I am sure she has broke many peoples hearts and wallets in her short and illustrious career online. I am a NEWBIE, I bought the strippeddownprofit software. It seemed to be OK, except there was NO CUSTOMER SERVICE for any questions I had. There was no responce. As Gary said said, just forward your receipt to refunds@clickbank.com and ask for a refund. Clickbank does have a lot of faults, but their refund policy isn’t one of them! 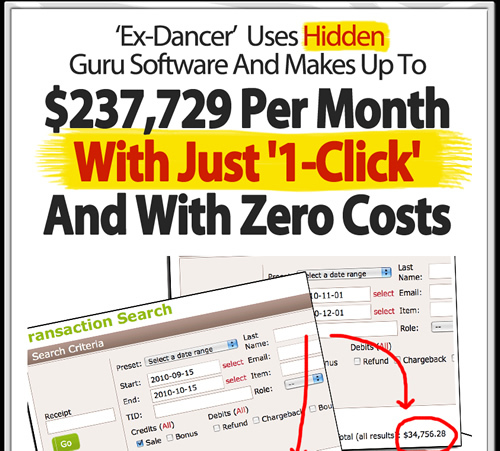 Contact Clickbank and DEMAND a refund. Thank you for suggesing to ask my money back. Clickbank just refunded my money today, (March31). including many bald eagles, pelicans, and egrets. Use the Internet in order to look into different golfing vacation packages that are currently available.